This post is presented by CaliBurger. You might’ve already heard the buzz, a California-style burger joint—with a similar feel to a certain West Coast favorite that shall not be named—has opened up in East District. CaliBurger is an international fast food chain, but this Taipei branch sure isn’t anything like other popular brands such as McDonalds or MOS Burger. 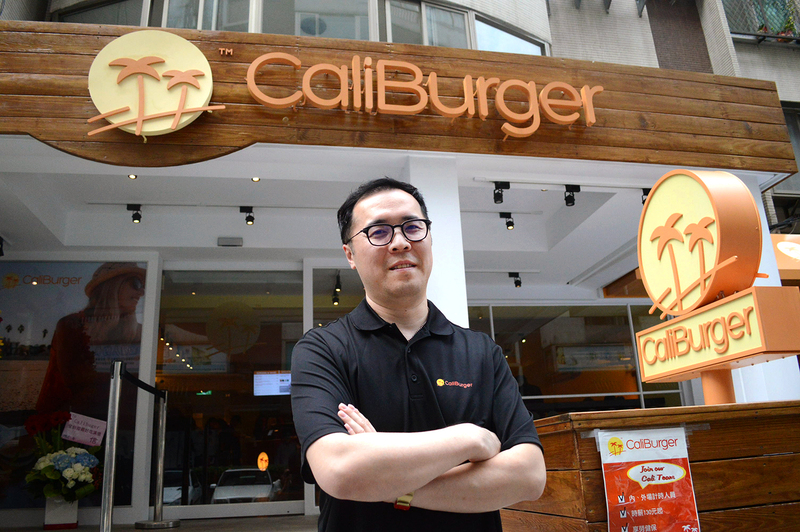 With the help of CEO Tony Chao, CaliBurger is serving a kind of burger experience that you can’t find anywhere else in Taiwan. Here are a few reasons why you should give this place a try the next time you’re craving a good burger. Unlike most fast-food chains, Caliburger sources all of its ingredients domestically (other than the beef and avocados, for obvious reasons). 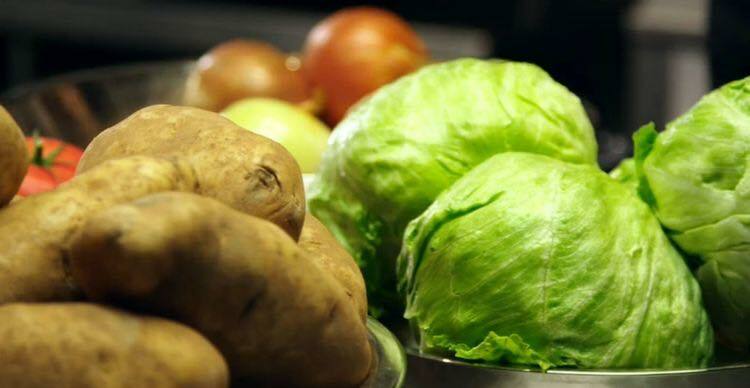 No ingredients spend any time in the freezer; the tomatoes, lettuce and potatoes are all delivered daily from farms all over Taiwan and the buns from one of the many great bakeries in Taipei. Everything is then freshly sliced in the morning before being served. 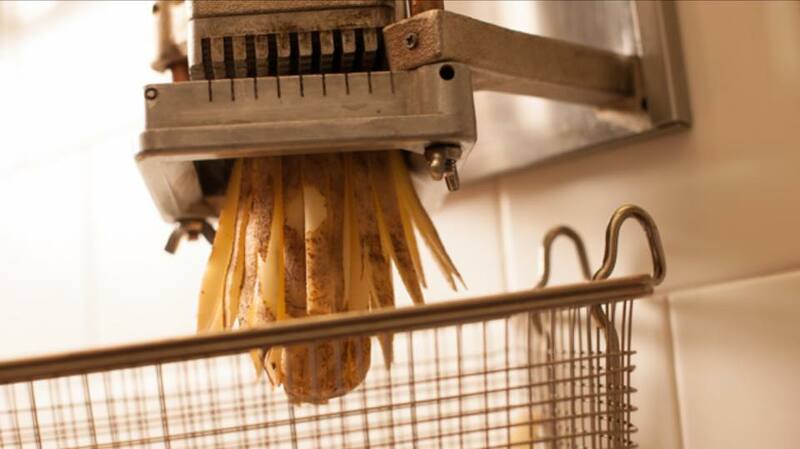 The restaurant’s proudest item is its fries, which is freshly cut and fried daily. Unlike most places that try to impress people with the size of the beef patty, Caliburger emphasizes the perfect combination of the burger. 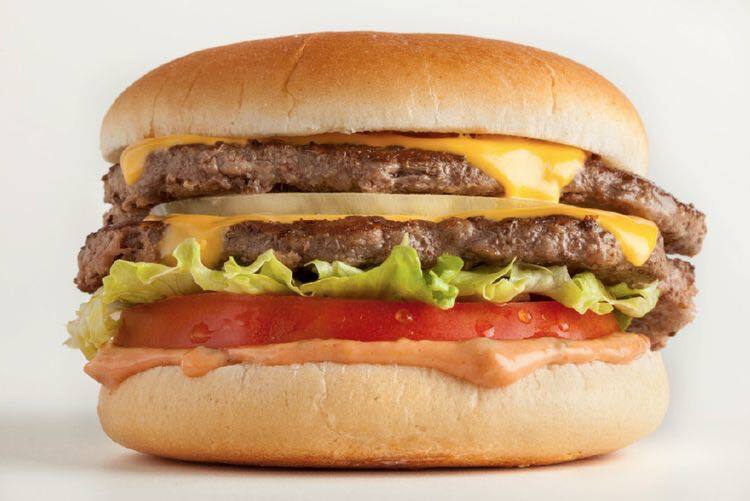 Every bite offers customers the perfect ration of bun, lettuce, tomato, sauce and beef, instead of making them feel like they are eating a giant steak with a piece of bun on top. As Chao put it, the ingredients of a good burger should “explode all together in [your] mouth.” The burgers aren’t meant to make you feel stuffed but still leave you very satisfied. Currently, the only options for burgers in Taiwan is either cheap fast food like McDonalds or pricy gourmet burgers. CaliBurger is the perfect in-between for those craving a good quality burger without breaking the bank. The price for the burgers range between NT$150 to NT$250, so you can get a fresh burger fix without sacrificing the quality. CaliBurger is not just another restaurant opened by some random investor. 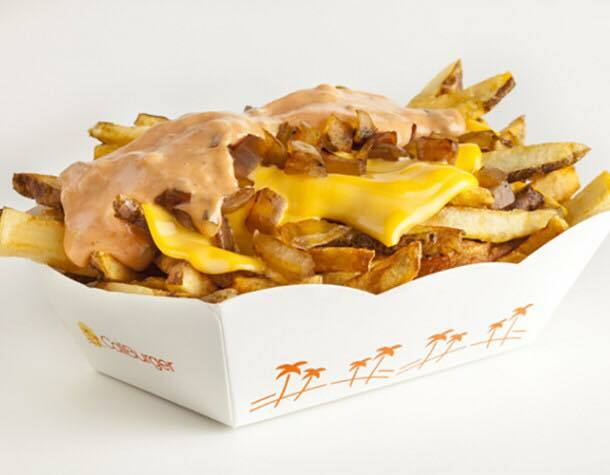 It’s opened by someone who wanted to bring an authentic taste of California to Taipei both for himself and the city. Chao is a Taiwanese man who grew up in L.A. and greatly missed the taste of the famous California-style burger chains upon returning to Taipei 16 years ago. As American-style burgers have infiltrated the Taiwanese diet within the past five years, becoming one of the things people crave when they’re wanting a break from the usual noodles or rice routine, Chao said now was the best time to open up his own restaurant. Described as a “zesty Thousand Island,” the sauce served with the CaliBurgers and fries is to die for. Thankfully, the proportions are also American, so generously added in the sandwich that you won’t have to worry about needing—yes, needing, not wanting—more. That, my friends, is a damn good burger. It also ensures that the burger and fries are eaten fresh and as soon as possible to avoid the sauce soaking the bun. Upon surveying the restaurant, it’s clear that the smiling, friendly employees are having a good time and enjoying themselves. A contributing factor to the cheerful work environment may be the above minimum pay at which, according to Chao, employees are paid. Furthermore, there’s an actual representative from Caliburger training the newly-opened shop’s staff to ensure quality retainment. And as if that doesn’t sound like burgers with integrity to you, CaliBurger donated a part of the profit from its opening day to charity. Seriously? At least McDonald’s doesn’t blatantly rip off another company, using similar if not the same branding. You know these guys were sued in China by In N Out right? I don’t mind that they are bringing the style of hamburger to Taipei, but have some damn integrity. Do something original and creative. It makes Taiwan look bad. I’m ashamed City543 is pushing this business and blatantly advertising it. There’s a reason you guys aren’t relevant anymore as most of your articles are sorely lacking quality editorial content. Might as well call this buzzfeed. Jack Liu — 1 star Tried and taste like McDonald’ burger. The mayonnaise are not special. And their fries are way off. Not even close compare to in n out. I find this comment unfair and inconsistent with how the world works. 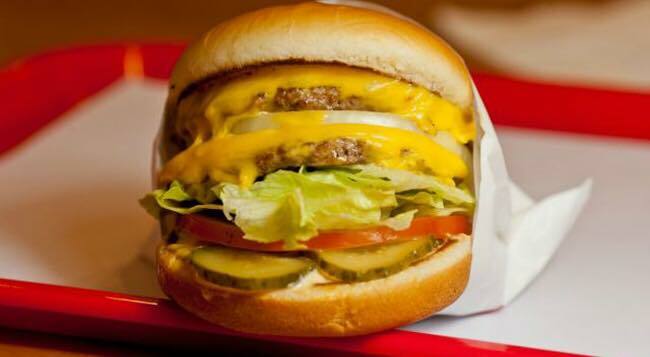 CaliBurger was sued by In-N-Out, and the law suit was resolved years ago. Based on the photos of the Taipei store posted online, there is nothing in the store that looks like In-N-Out. In-N-Out looks like something from the 1950s, with red and white furniture and tiles. CaliBurger is a wood-based design and has digital menu boards and a Video Wall. Based on the reviews, it appears that the burger and fries are similar to In-N-Out, but with some slight improvements. And there are other improvements to the menu; for example, two chicken sandwiches. There are no chicken products on the In-N-Out menu. Generally, progress in the world is built around incremental improvements in products by competitors. For example, the history of the semiconductor, IT, and mobile device industries are based on incremental improvements by new companies entering the market. If you have an Android phone, you are arguably using a “blatant rip off.” One can point to similar examples of cancer therapeutics, energy storage devices, etc. Society benefits from competitors entering the market with incremental improvements. In-N-Out only serves a very tiny market in Southwest USA. The world benefits by CaliBurger making incremental improvements to this type of food and bringing it to the rest of the world. Well “how the world works” shouldn’t be the baseline of quality. You are completely missing the point in what I’m trying to say. Look at the logos, the red trays, the twin palm trees. How they even market themselves as having someone who formerly used to work at In-N-Out create their recipes. How they use LA Time’s quote completely out of context in their marketing material. And my god, have you seen their bad rap videos and girls on the beach? There is a reason why the Japanese take things and make it their own/improve 150% while Chinese mentality of copying and marketing suffer and just makes themselves look bad. There beef is still frozen, so that’s not an improvement. Their buns are too sweet, again not an improvement. Their price point is high compared their competitors. I would argue Burger & Co is a much better burger with at least some damn integrity (even if it’s a near shake shack clone). To argue the history of semi-conductor/mobile phones is a moot point. Apple has taken from Android as much as the other. There’s a difference between competing and elevating the game, and just plain straight being unoriginal. The world does not benefit from Caliburger dude. All my foodie friends in HK def don’t rank them highly in any way. There’s just so much more interesting things being done. This burger company is a scam. Website claiming Caliburger is top 5 in Hongkong. Compare the Caliburger review to the others. The Caliburger review is more like an advertisement for the company. Where as the others have critical words from the get-go. So…I thought this was all fishy…so I went to their Facebook page. 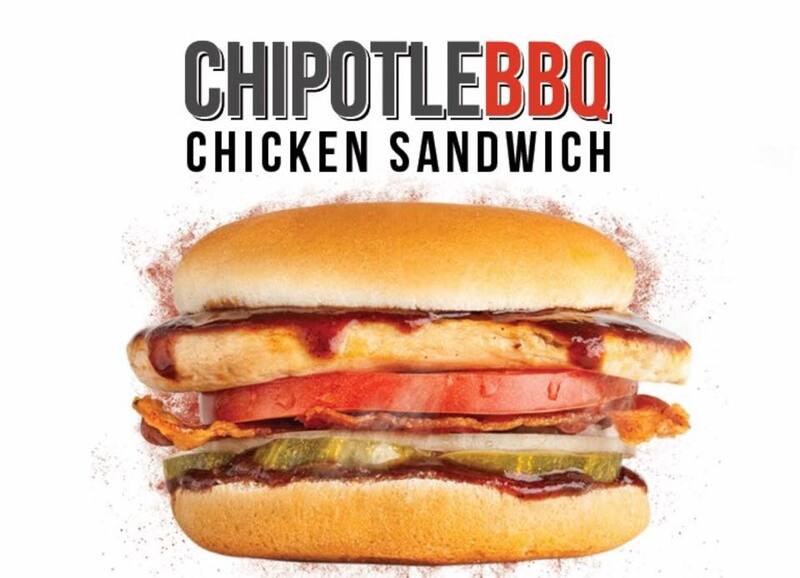 Yup…2 reviews on the page….one rant about 360 buger and how crap it is …and of course..a Caliburger advertisement. This company is shady. I recommend people who are considering franchising with these con artists, take heed. I honestly don’t know what all the fuss is about. So there was a lawsuit with INO years ago – so what? Apple sues Samsung, Samsung sues Apple. Caliburger owned a bunch of trademark that INO failed to register, so they settled. Big deal. I’ve lived in California for more than half my life and just moved back to Taiwan. There’s not one good burger joint in Taiwan until Caliburger came – I love it. All those people jumping out of the woodworks complaining that Caliburger is a clone of INO, oh PLEAZZZ. Right. If you want to take the high road, you should probably go home and throw away your TV, your computer, your car. Learning from the best is the essence of business. When Bing created their search engine, you don’t think they hired a bunch of engineers from Google? When Tesla built their car, you don’t think they recruited from Mercedes or Porsche? Of course they did. Caliburger hired people from In & Out and McDonald’s – who the hell cares? All I want is a great burger and now I have it. Chill out people. Get a life! For those people who think they have higher ethical standards – go eat at McDonald’s. Sigh, I suppose there is no point to argue why this bothers people. That’s ok, people like you are ok with companies like this. Instead of innovating they copy. I’m going to defer to filmmaker Jim Jarmusch quote about theft and inspiration. In this case, caliburger didn’t take or create anything new. You are from LA. There is In N Out, there is also Umami, Father’s Office, Apple Pan, Golden State, so many good damn burgers. And they all do something differnet. This is the argument. Why do they have to be so CHINESE about it? It’s just so embarrassing for Taiwan. I don’t disagree with your comments. But I think the fact that their packaging looks similar to In & Out makes people draw comparisons. Having said that, if you look at the menu, 2 out of 4 burgers are not things that In & Out sells….which is why I think it’s also a bit unfair to say that they are not improving the menu. I also think it’s wrong to compare them to In & Out. I think it’s such a high water mark anyone would find it difficult to reach. I’d rather just think of them like a new burger joint, and for that, I think they’ve delivered an excellent product. To be honest, they kinda asked for it. 99% of every Californian I meet in Taipei openly disrespects Caliburger for this. But you know, Taiwanese people eat up terrible things such as Dazzling Cafe so I’m sure they will do OK. Have you had Burger & Co? Or Bing? Or the burger at EIEIO? those are all equally good. Regardless, their reputation is very lacking. Why disable their reviews and ratings on Facebook? If they have nothing to hide, then don’t hide it. Since you asked, I’ve had Burger & Co. I think they also have a good burger. But as far as Bravo Burger goes, I found it horrible. I’ve never had a burger where I took one bite and threw it away…..
Californian in Taiwan is clearly a hack. He’s prob never even been there or had a Caliburger. He offers no 1st person comment on the food or whether it’s good or not. And he seems to follow CB’s every move – quoting their FB page and offering details of their business that have nothing to do with the food. Bottom line is great burger not to be found elsewhere in Asia. This imbecile even goes so far as to quote someone else’s review without offering his own of the burger itself. Does that sound like an impartial observer who tried the burger? Get a life and/or a real job “Californian in taiwan” or whoever you really are.